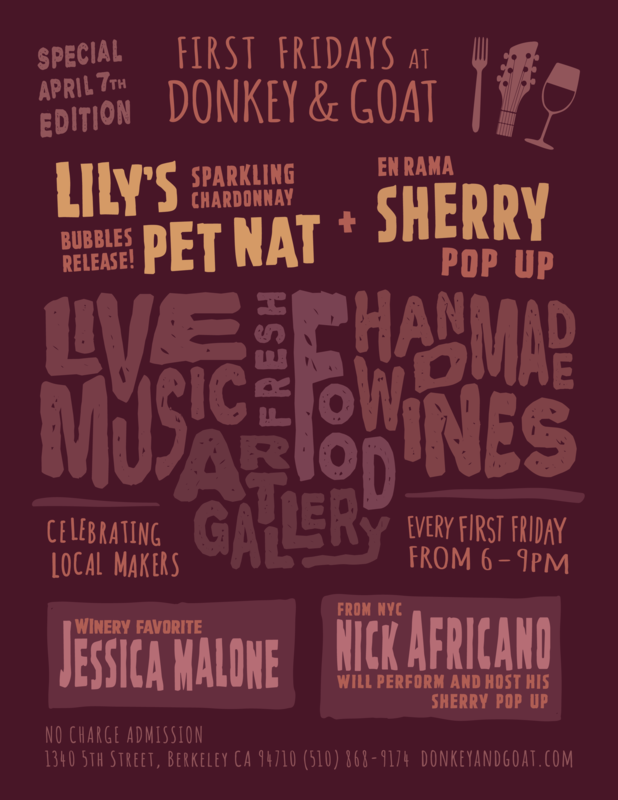 Special First Friday for April 7th when we release 2016 Lily’s Pet Nat AND host Nick Africano, founder of NYC’s En Rama (the 1st pop-up Sherry Bar). Nick will also perform as will winery favorite Jessica Malone. Arab street food available for purchase from Reems!